Role of terpenes and isoprenoids has been pivotal in the survival and evolution of higher plants in various ecoregions. These products find application in the pharmaceutical, flavor fragrance, and biofuel industries. 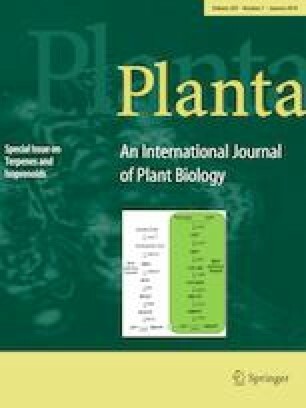 Fitness of plants in a wide range of environmental conditions entailed (i) evolution of secondary metabolic pathways enabling utilization of photosynthate for the synthesis of a variety of biomolecules, thereby facilitating diverse eco-interactive functions, and (ii) evolution of structural features for the sequestration of such compounds away from the mainstream primary metabolism to prevent autotoxicity. This review summarizes features and applications of terpene and isoprenoid compounds, comprising the largest class of secondary metabolites. Many of these terpene and isoprenoid biomolecules happen to be high-value bioproducts. They are essential components of all living organisms that are chemically highly variant. They are constituents of primary (quinones, chlorophylls, carotenoids, steroids) as well as secondary metabolism compounds with roles in signal transduction, reproduction, communication, climatic acclimation, defense mechanisms and more. They comprise single to several hundreds of repetitive five-carbon units of isopentenyl diphosphate (IPP) and its isomer dimethylallyl diphosphate (DMAPP). In plants, there are two pathways that lead to the synthesis of terpene and isoprenoid precursors, the cytosolic mevalonic acid (MVA) pathway and the plastidic methylerythritol phosphate (MEP) pathway. The diversity of terpenoids can be attributed to differential enzyme and substrate specificities and to secondary modifications acquired by terpene synthases. The biological role of secondary metabolites has been recognized as pivotal in the survival and evolution of higher plants. Terpenes and isoprenoids find application in pharmaceutical, nutraceutical, synthetic chemistry, flavor fragrance, and possibly biofuel industries. The online version of this article ( https://doi.org/10.1007/s00425-018-3056-x) contains supplementary material, which is available to authorized users. The author thanks the Indian Government funding agencies, DBT (BT/PR/10972/GBD/27/123/2008), UGC (37/532/2010 SR), CSIR (38(1334)/12/EMR-II/2013) and ICMR (59/48/2010/BMS/TRM) for support to her laboratory and for enabling work with medicinal and aromatic plants.